March Madness is an exciting time at LJB. 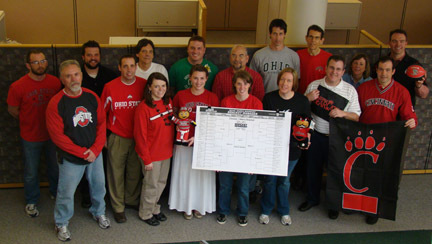 To kick off the NCAA basketball tournament last week, employees filled out their brackets for the office pool while the company’s Social Events Committee hosted a group game-watch and Crock Pot cook-off competition. On Thursday, we saw some of the first upsets of the basketball tournament. And, the Crock Pot competition provided “upsets” of its own – a dessert dish and pulled pork tied for first place, beating out perennial Crock Pot favorites, like chili and chip dip. And this week, the excitement continues, with more than half of the Sweet Sixteen teams coming from theMidwest. 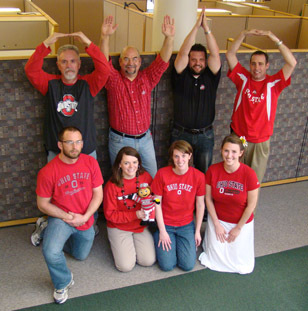 Our alumni from Ohio University, The Ohio State University, the University of Cincinnati, Michigan State University, and the University of Kentucky have office bragging rights at stake. And, the University of Dayton alumni can all work together to root against whoever Xavier University is playing. 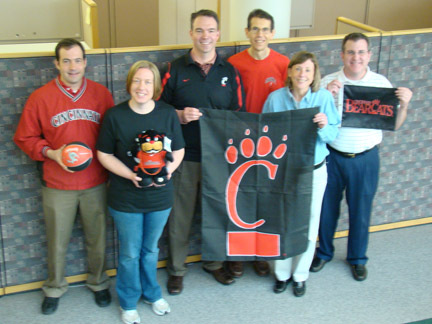 In all seriousness, the camaraderie and competition this time of year are part of what makes LJB a great place to work.